One of the most common conditions seen in older cats, feline hyperthyroidism is a serious medical problem with distinct symptoms. If left untreated, it can lead to kidney failure, heart failure, and even death. Thankfully, treatment options are available. What Happens in Feline Hyperthyroidism? Feline hyperthyroidism occurs when the butterfly-shaped gland on each side of a cat's windpipe, called the thyroid, malfunctions. The thyroid's job is to create thyroid hormone from the combination of iodine and tyrosine, an amino acid. Thyroid hormone regulates a cat's metabolism. When a cat's thyroid malfunctions in the case of hyperthyroidism, it becomes overactive and produces too much thyroid hormone. When this happens, the cat's metabolism runs continually at a higher than needed rate. This causes a number of physical and behavioral symptoms that make the cat very sick and eventually lead to her death. The cause of hyperthyroidism is generally believed to be a non-cancerous tumor called an adenoma. This tumor secretes thyroid hormone along with the thyroid itself, thus creating the surplus in the cat's system. Because hyperthyroidism primarily occurs in older cats, some people may think they don't need to be concerned if they have a younger cat. This is not necessarily true. Feline hyperthyroidism can occur in cats as young as two years old. However, it typically occurs in cats over age ten with the average age being 13. Statistics courtesy of a study done by the University of Georgia. If your vet suspects hyperthyroidism in your cat, he will do a complete blood chemistry panel. He will also do a thyroxine (T4) blood test. If there are high levels of thyroxine, it is an indication of feline hyperthyroidism. Your vet will also want to test your cat's heart and kidneys to be sure they are healthy. Kidney problems may limit your treatment options if your cat is diagnosed with hyperthyroidism. Some cats with hyperthyroidism also have high blood pressure, and this also needs to be treated. Once feline hyperthyroidism has been confirmed in your cat, you have a few options for treatment. Your choice may be based on any other health issues your cat has, or it may be based on finances. However, your veterinarian will help you make the best choice for you and your cat. Radioactive Iodine Therapy is perhaps the costliest treatment for hyperthyroidism initially, but it could actually be more cost effective depending on the age of your cat. This treatment requires a single injection of iodine I-131. This injection is said to cure 98 to 99 percent of cats who suffer from hyperthyroidism. This radioactive iodine concentrates in the thyroid and only destroys the diseased tissue. Healthy tissue is left untouched leaving only a very low risk of causing the reverse of what is being treated - feline hypothyroidism. Most cats return to normal within a month of being treated, but they do require a week or so of isolation after their treatment until the radioactive material leaves their body. Due to radioactivity, not all veterinarians are equipped to offer this treatment as an option. However, this does not mean it isn't an option for your cat. A company called RadioCat offers treatment at offices nationwide. They also offer financing for those who need it. Note: If your cat has kidney problems, this is not an option. Also a fairly pricey option, surgery for hyperthyroidism involves removing the affected part of the thyroid. A short hospital stay is required for recovery after surgery. There are a few risks involved as with any surgery. One is the risk involved with anesthesia, and this can especially be a problem for older cats. Another possible risk is that of injury to the parathyroid. 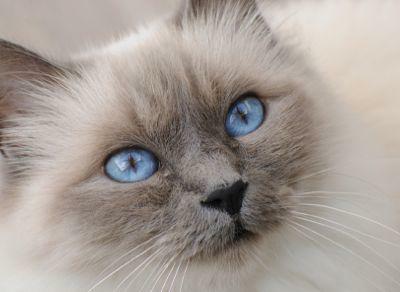 If this occurs, your cat could end up with hypothyroidism. The same could occur if both lobes need to be removed from the thyroid gland. Note: As with radioactive iodine therapy, this may not be an option if your cat has kidney problems. While this treatment is relatively inexpensive, it may be difficult for care givers to give a pill to their cat on a daily basis. However, considering the consequence of non-treatment, this is not such a bad option. Antithyroid therapy actually involves giving your cat a human medication, methimazole, that is also used to treat hyperthyroidism in people. There are relatively few risks involved in this treatment. A few cats may experience vomiting or lethargy while some are not helped at all. Overall, most cats respond well to this drug and go on to live happy, healthy lives. Learning that your cat has feline hyperthyroidism is scary and can seem overwhelming at first. However, this disease can be treated successfully with guidance from your vet. Once treated properly, you and your cat can enjoy many more wonderful years together.